Just installed the Eufycam E (two camera system with base station) and I am at the latest firmware version for the cameras and base station as well as the android app. 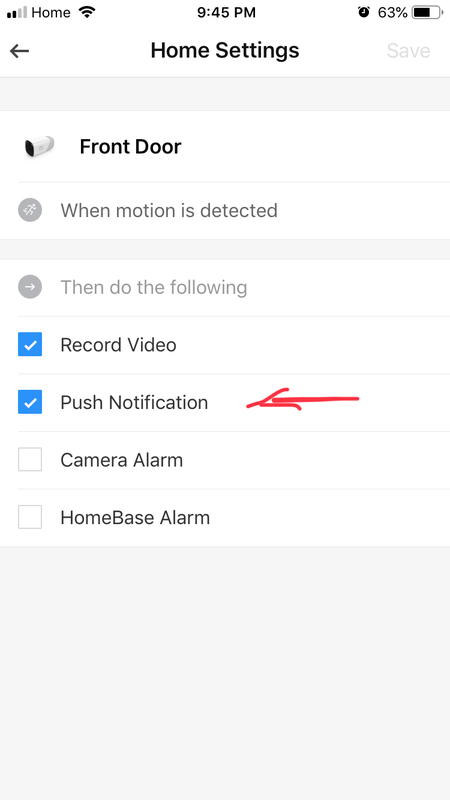 No matter what I try, only the front door cam sends notifications (or station sends for front door cam only) and while the back yard cam records when there is motion, I never get a notification for that camera. I only get notifications for one camera (always the same camera) so please if anyone knows how to get notifications to work for more then 1 camera, please post what to do. Check the mode ( home/away) you selected and push notification box is checked. You will have to remove the device and then re add it. I also had the same issue. Once I resynced the camera it started to work. But now I can't set the field of view in the camera for motion detection. Something in this update screwed things up. I have Push Notification checked so I am going try to resynch the camera. Just went and re-paired the camera that was not sending push notifications. It works now!!!! Hope eufy is releasing another working patch/update sooner. Hope eufy is releasing another working patch/update sooner ... or later. Try to remove and add the camera. Worked for me.